messyart: Happy 1st Birthday ! and in true Kim style, she's put on a pretty amazing class to celebrate, called "Whats in the Box". There are lots of exciting things to do and learn in this workshop.... and plenty of guests designers to inspire you with their beautiful cards. 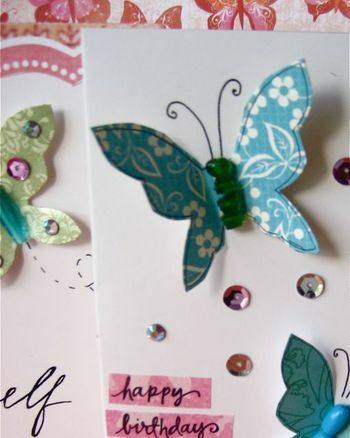 Heres a sneak peak of my cards, which you can see in her workshop.